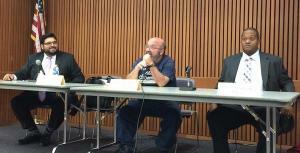 The Hayward Demos held a candidate forum for San Leandro Mayoral and City Council candidates on Thursday, Oct. 17th. All candidates, except for Leah Hall, were present. They answered questions from the audience. The following are tweets from the forum sent by Mike Katz-Lacabe. Because Mike is a candidate for District 1, he was unable to tweet during that part of the forum. San Leandro Dist. 3 candidates Victor Aguilar & Allen Schoenfeld against armored assault vehicle. Lee Thomas wants more info and justification. Lee Thomas disagreed with warrant-less searches of houses includes in chickens/bees ordinance. Aguilar & Schoenfeld against red light cameras approved by City Council. All San Leandro Dist 3 candidates support keeping San Leandro Hospital open – Schoenfeld says to clap for Mia Ousley: helped keep it open. None of the San Leandro Dist. 3 candidates mentioned the $3 million the City has allocated to help keep San Leandro Hospital open. Lack of questions for San Leandro Dist 3 candidates leads to an early wrap-up. Thomas says he has the experience to be on City Council. Schoenfeld makes the case for common sense. Leah Hall only San Leandro Dist. 5 candidate not present at candidate forum. Mia Ousley opposes San Leandro acquiring armored assault vehicle. Corina Lopez supports/compares to safety vest. Corina Lopez opposes rent control. Mia Ousley says no need now, but gentrification may necessitate a future review. San Leandro Dist 5 candidate supports the development at the Marina. Says environment must be protected. Opposes dredging. San Leandro Dist 5 candidates supports Adventure Playground and small boats at Marina. 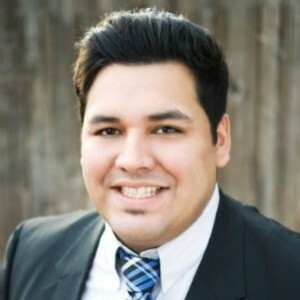 San Leandro Dist 5 candidate Lopez: opposed raising Chinese flag at City Hall. Mia Ousley opposed elimination of full council minutes. San Leandro mayoral Dan Dillman: You have 2 choices: two City Council members with 12 years of experience between them or an outsider. Dillman is first to mention ebola at tonight’s candidate forum. Says we need to stop the fear. San Leandro mayoral candidates on being a full time Mayor: Dillman: Yes; Cutter: Yes; Souza: avoids answering question directly. Asked whether they supported funding San Leandro Hospital, Cutter said she supported it. Souza avoided answering the question.